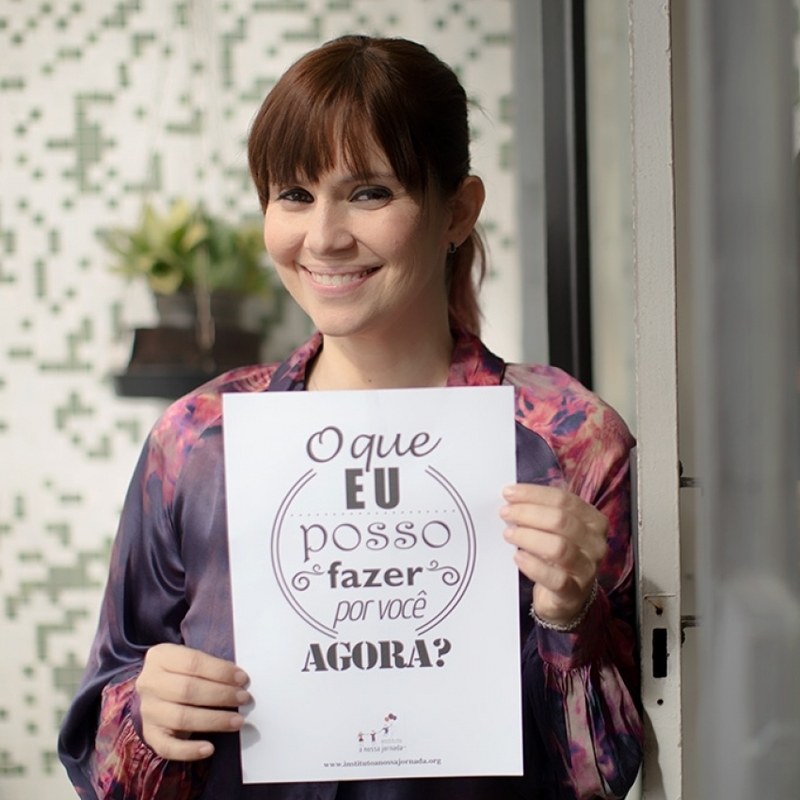 Renata Quintella studied to be an actress and and chose to be a social entrepreneur. She always wanted to make a better world for her three children, and then she came to the conclusion that the only way to achieve this would be making the people of the world better, starting with herself. With that, her personal journey became A Nossa Jornada (Our Journey). It is a large network of people that work as bridge between those who ask for and those who offer help. With no financial support, she brings hope, warmth, a lap or a hug to those who seek her.